Despite the name, the Kali Fury is actually a rather soothing drink. 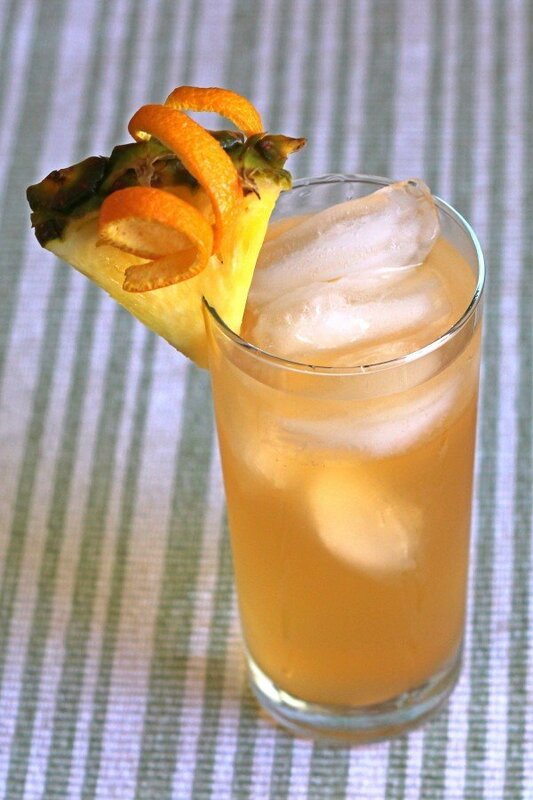 It’s got plenty of pineapple and orange juice blended with coconut rum and creme de bananes. It’s your typical laid back tropical flavored drink. 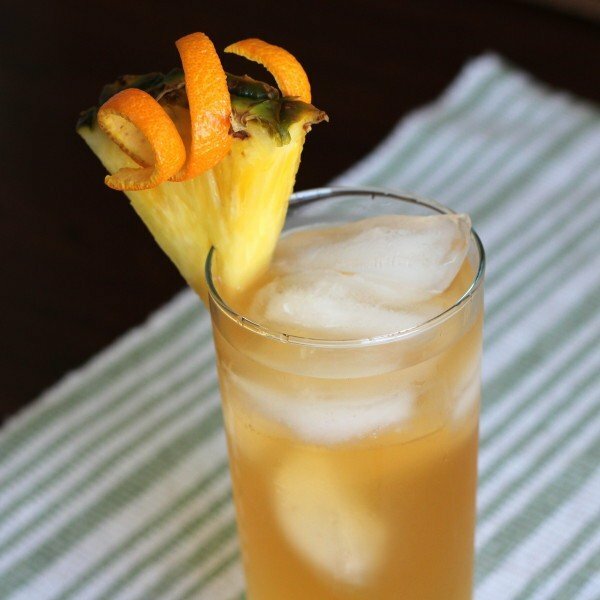 Enjoy a Kali Fury anytime you want a little liquor with your fruit juice instead of the other way around. It’s a nice departure from other rum-and-fruit-juice drinks. Fill a Collins glass with ice. Pour in the rum. Fill it up half with pineapple juice and half with orange juice, leaving room for the half-ounce of creme de bananes. Add the creme de bananes last.